The 2018 Ford Escape is, by most accounts, a good crossover. 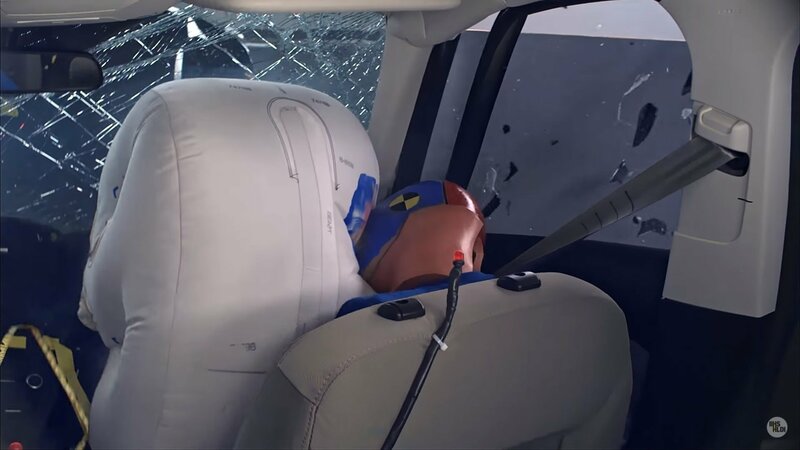 But its safety is being thrown into question after the model received the worst rating among seven small SUVs from the Insurance Institute of Highway Safety’s passenger-side small overlap crash performance. 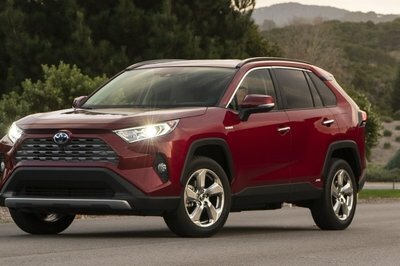 Of all the SUV models that were tested, the Escape turned in the only ’poor’ rating among the group, a stunning grade considering that most of its rivals, including the Jeep Compass, Chevrolet Equinox, and GMC Terrain, all received ’good’ ratings. Ford just issued two of the smallest safety compliance recalls in history. 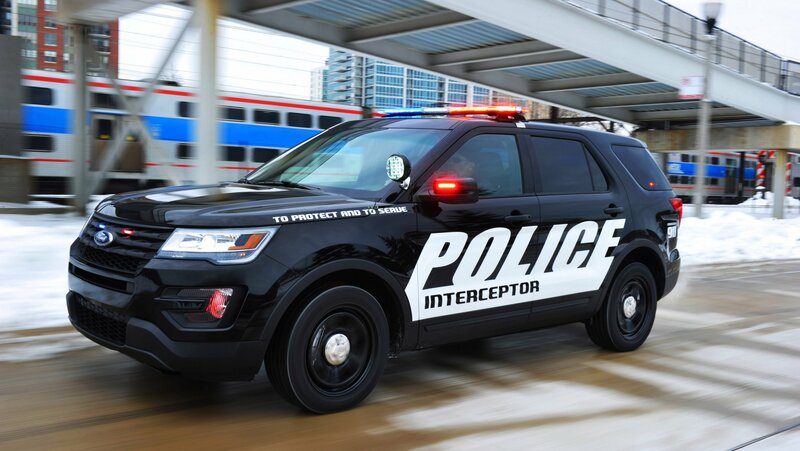 The automaker has reason to believe three 2016 Escape crossovers and four Police Interceptor Utility Vehicles left the factory with defects, which could potentially cause harm to users. These laughably small recalls are juxtaposed against another recall announced at the same time. This one affects 402,000 Transit vans built between 2015 and 2017. While these larger recalls have seemingly become “business as usual” for automakers, it’s rare to hear a voluntarily recall for vehicles in the single digits. 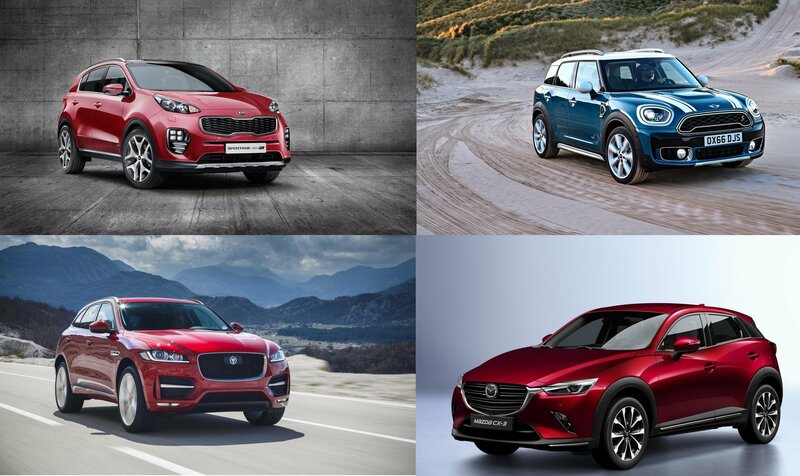 In fact, only BMW has Ford beat, according to online information. It recalled a single – one, uno, 1.0 – 2017 X3 xDrive28i back in October of 2016 for an issue with its electronic power steering. Of course, I’m not counting boutique automakers with relatively tiny production numbers like McLaren, Pagani, and Koenigsegg. At the opposite end of the recall spectrum, the ongoing Takata airbag recall has entangled more than two-dozen automakers and nearly 70 million vehicles. The recall began in 2013 due to faulty inflators that could explode upon airbag deployment, sending metal shrapnel into passengers’ faces. Sadly, at least 11 deaths and more than 150 injuries have been reported in the U.S. alone. Thankfully, Ford has no reports of injuries resulting from the Explorer, Escape, or Transit van. So what exactly is prompting these recalls? Keep reading to find out. Recalls used to be something that didn’t really happen all that often, but these days, it seems like every manufacturer is taking a bite of shame pie. Ford is the most recent company to pop out recalls this month. 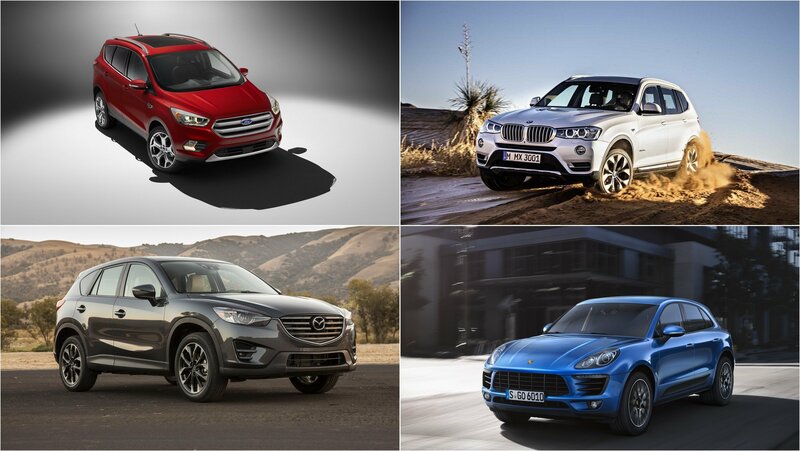 Two of the recalls are safety related, and one is compliance related, leading to more than 100,000 vehicles affected. The first and most important involves Ford Taurus, Ford Flex, Ford Police Interceptor sedan, and the Lincoln MKS and MKT models built for the 2013 to 2015 model years. 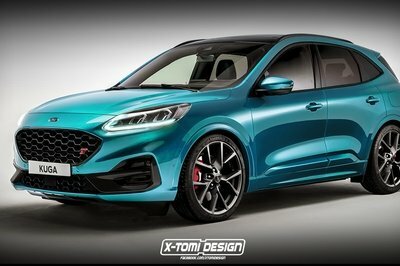 These models, if equipped with the twin-turbo, 3.5-liter V-6 could have a faulty fuel pump control module that could cause the engine to stall while driving, increasing the risk of an accident. A total of 88,151 of these vehicles are affected. The next recall is also fuel related and involves the 2015 to 2016 Ford Transit with a 3.2-liter diesel engine. This model could have been equipped with a faulty fuel injection pump that could prevent the engine from starting. No injuries or accidents have been associated with this recall, but I’m sure a few owners have been pretty unhappy when their almost-new Transit failed to start in the morning. A total of 2,472 Transit vans are included in this recall. The final recall involves the power window system of the 2017 Ford Escape. 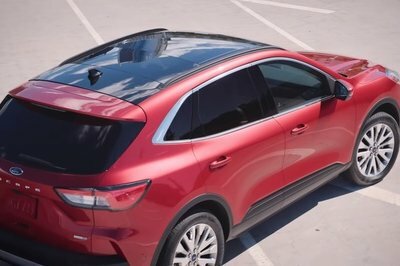 According to Ford, “the power window system configuration may exceed the regulatory requirement for remote actuation closing force, increasing the risk of injury.” So in other words, you, your child, or your dog could get one of your extremities pinched inside the window when it is being rolled up. A total of 23,150 examples of the 2017 Escape are affected and can be repaired with a simple update to the vehicle’s onboard computer software. Before you call the dealer to schedule your appointment, you can head over to the NHTSA’s website and plug in your vehicle’s VIN to see if it is affected by these or any other recall campaigns on file. 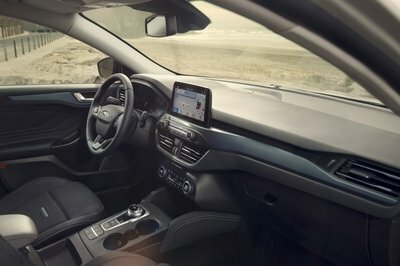 Ford has announced that Apple’s iPhone-connected, in-dash CarPlay system will finally make its debut on Ford models, with the 2017 Ford Escape becoming the first vehicle to get the feature. The addition of CarPlay opens up a new world of connectivity for would-be buyers of the 2017 Escape. 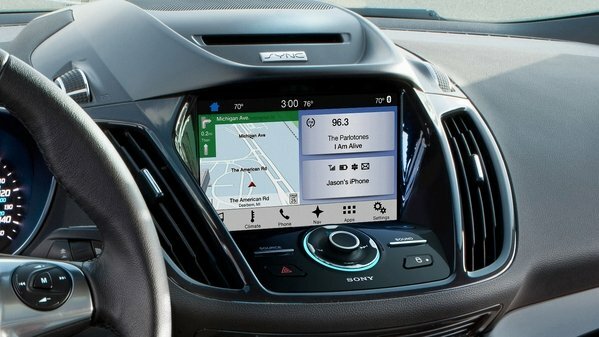 Ford saw to that when it announced back in January 2016 that apps like CarPlay and Google’s Android Auto platform would be integrated into the automaker’s new SYNC3 infotainment system. In CarPlay’s case, iPhone users can access a gamut of useful tools and apps under Apple’s iOS software. The usual iPhone features and apps like phone calls, messages, music, maps, podcasts, and social media apps can now be accessed through the Escape’s in-dash display. Take note that all of these features will come on top of the gizmos and gadgetry already included in the SYNC3 system. CarPlay integration also serves Ford and its customers very well as it allows users to immerse themselves into the next step of Ford’s mobility and connectivity systems. Ford didn’t give a reason as to why the 2017 Escape was chosen as the first model to get CarPlay, but a combination of segment popularity and strong sales numbers suggest that debuting on the 2017 Escape would introduce CarPlay integration into SYNC3 to a bigger segment than most of Ford’s other models. The Escape belongs to one of the most popular segments in the U.S. today, and the crossover’s strong sales numbers makes it the perfect test bed of sorts to introduce CarPlay to Ford customers. Only the F-Series pickups and the Fusion sold more units in February 2016 than the Escape. Other Ford models are expected to receive CarPlay and Android Auto in the future, but for now, it has been decided that the 2017 Escape, which goes on sale in May 2017, will be the first in line. Ford’s SYNC/MyFord Touch system has been a bit of a bust, as there have been numerous complaints about it being finicky, and in some cases, not working at all. Well, that may soon come to an end, as Ford has announced that its new Sync 3 will debut in the 2016 Ford Escape and Fiesta. As the proud owner of a Ford Focus ST3, my car has Sync/MyFord Touch, and I can say many of the issues reported are very much true. Sure, it broke the mold when it debuted in 2007, but the growing complaints are deafening. Some of my main complaints include the counterintuitive button placement on the touchscreen, the touchscreen sometimes doesn’t pick up your input, it’s slow to respond, and it’s downright buggy. However, the voice control is actually fairly decent, all things considered. The new Sync 3 promises to deliver where the existing system failed, and build upon some of its better points. Some of the new features include a simpler voice-command structure, improved AppLink to automatically detect smartphones and their apps, Siri Eyes-Free integration with the iPhone, an all-new, quicker-responding captive touchscreen, response to smartphone gestures, tile-like icons with a quick-access tray on the bottom, and updates via Wi-Fi (no more flash drives for updates, yay!). You can see a preview of the new and improved Sync 3 in the video above. I must say, it looks like a dramatic upgrade over the current system, but the current Sync system looked great at first too. Only time will tell if Ford has actually improved up on the existing system or just slathered a little lipstick on that pig. Sync 3 Will Debut in the 2016 Ford Fiesta and Escape originally appeared on topspeed.com on Thursday, 4 June 2015 12:00 EST. 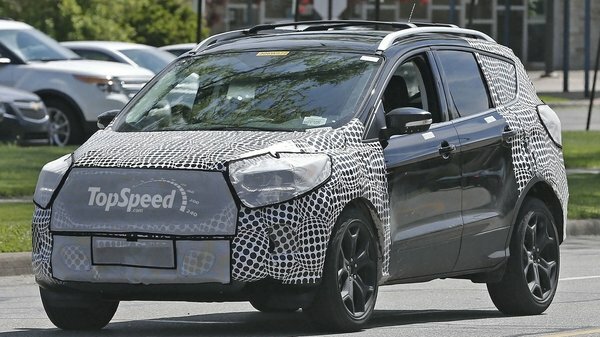 Our spy photographers have captured what appears to be the next generation of Ford Escape. Though it wears thick camouflage and polka dot wrapping, several details are visible, including its updated front grille and new rear taillights. 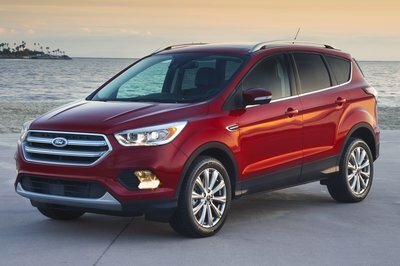 2017 Ford Escape originally appeared on topspeed.com on Monday, 18 May 2015 16:30 EST.